Get more out of your Bullet Journal® with fresh ideas & insight. Hello and welcome to the wonderful Bullet Journal world! 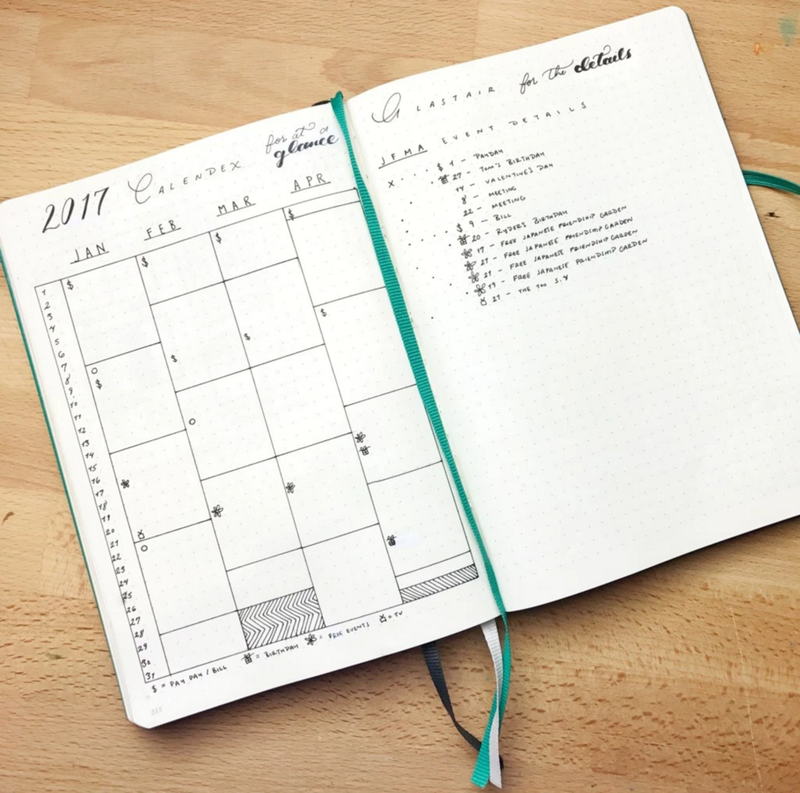 The Bullet Journal was invented by talented Digital Product Designer, Ryder Carroll. He writes wonderful content over on the Bullet Journal website to motivate, encourage, and keep you inspired with your Bullet Journal. Go to BulletJournal.com to learn all about the sytem. Watch Ryder Carroll's introductory video for the Bullet Journal. Download the Bullet Journal Starter Guide I lovingly handcrafted, available in over 20 languages! If you need any help, feel free to contact me! I'm currently embarking on a 100 day project to share an idea every day for your Bullet Journal. I am a regular contributor to the lovely Bullet Journal blog where I share ideas and tips for your Bullet Journal. The Bullet Journal Challenge is a monthly challenge I host as a way to help you get more out of your Bullet Journal through reflection. Click below to learn more.